Dispatch ($4.99) is our pick as the best iPhone email app for power users, and it just came out with a version 2.0. The first thing to notice is a fresh new icon, but the app has not been completely redesigned, except for a few nips and tucks. What’s new is greater access to mailboxes, an ability to sort your email in a new way, and a new action to unsubscribe from email newsletters. One of the limitations of Dispatch 1.0 was that you had no access to anything beyond the inbox of your email accounts: no folders, no sent messages, and no drafts saved on the server. All that has changed with Dispatch 2.0. You now have access to every folder of every account. Just tap on the disclosure triangle on the left of each of your accounts to view your folders. You can then tap the little pin icon next to any one of these folders to pin that folder to the main menu for easy access. 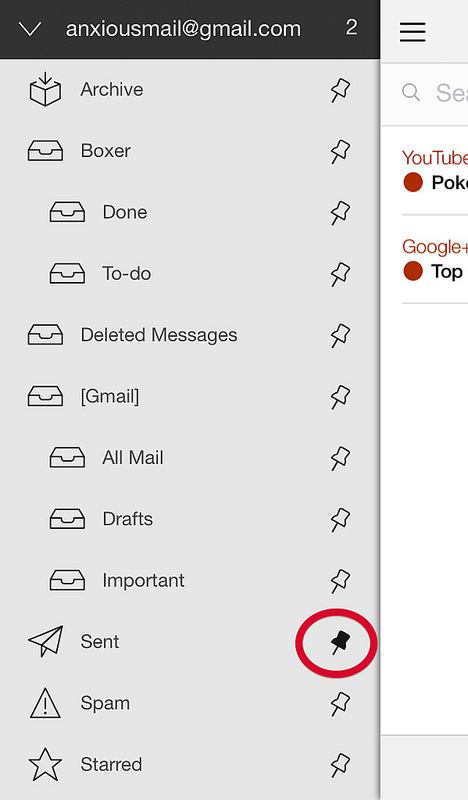 Another feature Dispatch now offers in the settings menu is the option to sort your email with the oldest emails at the top instead of at the bottom. The idea is to encourage you to deal with that old email first rather than letting it sit out of sight at the bottom of the pile. The release notes give thanks to Mike Vardy for this idea. The last, and perhaps the most useful, feature is also somewhat hidden in the settings menu. If you go to Settings → Actions → General, you’ll find a new action called Unsubscribe. Now, whenever you receive an email newsletter that you’re too lazy to scroll to the bottom of and find the tiny link to unsubscribe, you can just tap the actions button, tap Unsubscribe, and Dispatch will find and execute that link for you. Works like a charm. There are a number of other smaller new features added to the app, and my favorite is that if you take action on an email, such as sending it to Evernote, you get a little check mark next to it to let you know that an action has been taken. It’s also worth noting that none of my favorite features of the app have been broken or removed. 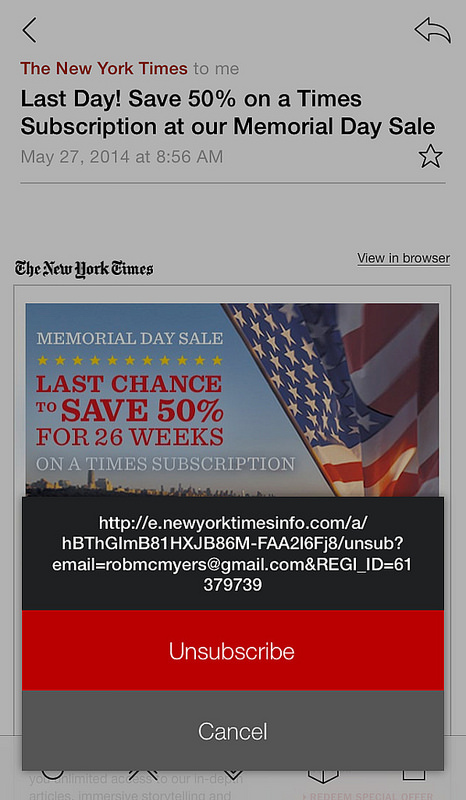 All this adds up to an app that’s still best in its class for processing email on the iPhone.